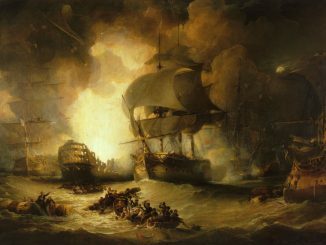 Almighty God has blessed his Majesty’s Arms in the late Battle, by a great Victory over the Fleet of the Enemy, who I attacked at sunset on the 1st of August, off the Mouth of the Nile. 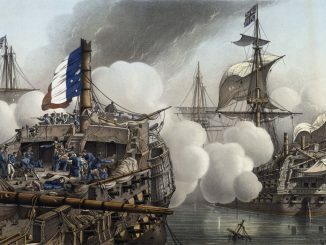 The Enemy were moored in a strong Line of Battle for defending the entrance of the Bay, (of Shoals,) flanked by numerous Gun-boats, four Frigates, and a Battery of Guns and Mortars on an Island in their Van; but nothing could withstand the Squadron your Lordship did me the honour to place under my command. 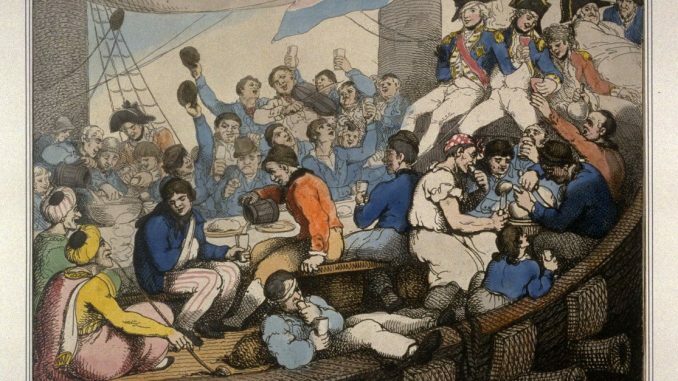 Their high state of discipline is well known to you, and with the judgment of the Captains, together with their valour, and that of the Officers and Men of every description, it was absolutely irresistible. Could anything from my pen add to the character of the Captains, I would write it with pleasure, but that is impossible. 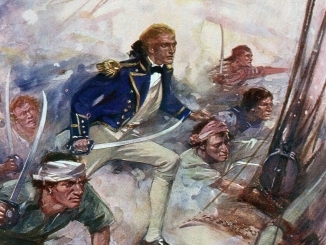 I have to regret the loss of Captain Westcott of the Majestic, who was killed early in the Action; but the Ship was continued to be so well fought by her First Lieutenant, Mr. Cuthbert, that I have given him an order to command her till your Lordship’s pleasure is known. The Ships of the Enemy, all but their two rear Ships, are nearly dismasted: and those two, with two Frigates, I am sorry to say, made their escape; nor was it, I assure you, in my power to prevent them. Captain Hood most handsomely endeavoured to do it, but I had no Ship in a condition to support the Zealous, and I was obliged to call her in. The support and assistance I have received from Captain Berry cannot be sufficiently expressed. I was wounded in the head, and obliged to be carried off the deck; but the service suffered no loss by that event: Captain Berry was fully equal to the important service then going on, and to him I must beg leave to refer you for every information relative to this Victory. He will present you with the Flag of the Second in Command, that of the Commander-in-Chief being burnt in L’Orient.